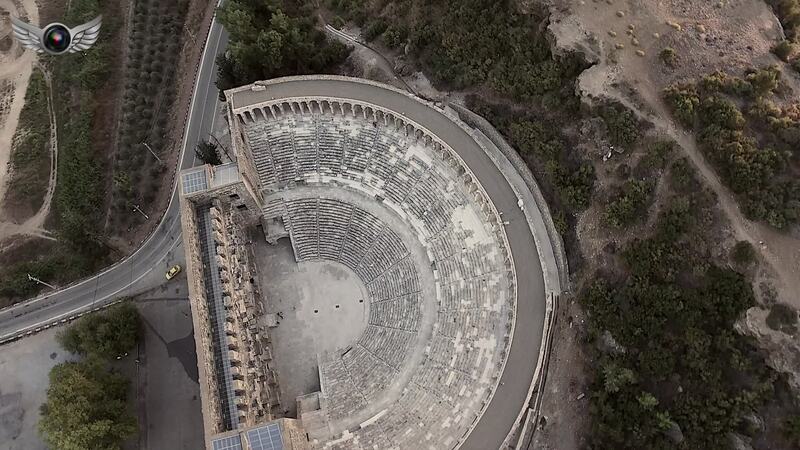 Flyinghighaerial brings us this awesome drone video of an ancient city in southern Turkey. Aspendos is situated in the province of Antalya, a few km/mi. inland and about 40 km (25 mi.) east of the provincial capital Antalya. In the antiquity, it was an important city in the region known as Pamphlia, which covered much of what is now the Mediterranean Region of Turkey. It is the home of numerous archaelogical sites, some of which you will see in the video.